Tie-knots.org is a website dedicated to teach men how to tie their ties. Below is an overview of the most popular ways men tie their neckties. Besides illustrations we now also have sections with How to Tie a Tie Videos. Davide Mosconi and Ricardo Villarosa present 188 tie knots in their book “188 Facons de nouer sa cravatte“– and there are even a lot more ways to tie a necktie! But no worries: Knowing two or three different ways for how to tie a necktie will guarantee a perfect matching tie knot for any occasion and any attire. Below are the five most important ways to tie a necktie. Following a few basic principles on how to match your ties to your shirts and suits will guarantee that you will look your best. Learn how to match patterns and colors to suit the occasion, season, and your office dress code. How long should you tie a necktie? Answer: Tie your necktie so that the wider part of the tie ends near the center of your belt buckle. Tall men, men with bigger necks, and men that like larger tie knots (such as the double Windsor) may want to consider longer neckties that are 61 – 63 inches in length (the perfect fit for men above 6 foot 3 inches). Even longer neckties (65 inches and more) are very hard to find. If you can’t find the right length tie for your statue then you may want to share our guide on How to Make a Tie with your tailor. What tie knot for what dress shirt? 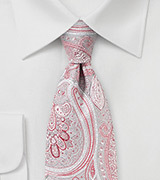 Answer: It is the goal tie your necktie so that the tie knot fills most of the gap at your collar. 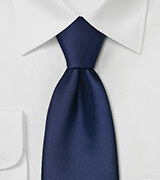 Shirts with a wider collar spread should be matched with a wider and more triangular tie knot. 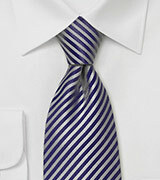 The full Windsor knot, also called double Windsor tie knot, is the best choice here. 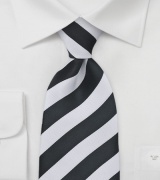 Large or small tie knots? The size of the knot depends to the most part of the type of shirt you are wearing. 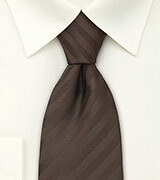 Another factor on what size necktie knot is most fashionable depends on the current fashion trends. In the 90s knots were small and narrow. 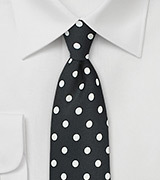 Today wider and thicker necktie knots are in style. Finally the type of necktie has some to do with the size of the knot. Traditional British (also called “Regimental Ties”) are better suited for traditional tie knots such as the Four in Hand, while modern Italian silk ties look best with larger tie knots. What tie knot for what style of necktie? 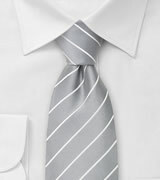 Answer For most ties, the full, or double Windsor tie knot, looks best (also consider the dress shirt). For skinny ties a narrower knot is a more stylish choice which is often times also slightly loosely tied. 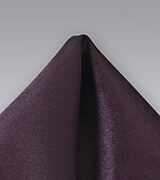 Solid color neckties made from a smooth satin silk also look more elegant with a smaller tie knot and a dimple. 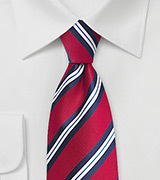 British ties look great with a Four in Hand knot and with button down collar dress shirts. 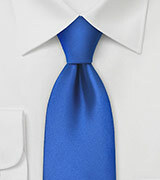 At tie-knots.org you will learn everything there is to know about how to tie a tie. I made some detailed instructions for you along with videos on how to tie a necktie, how to tie a bow tie, and how to fold a pocket square. How to clean a tie? How to Make a Tie?